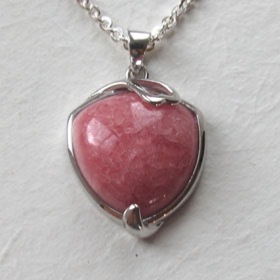 The rose quartz in this pendant is semi-opaque and a delicious pink colour. 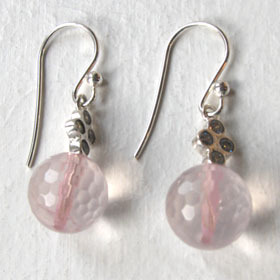 Inside this large gemstone you can see natural inclusions suspended in time. 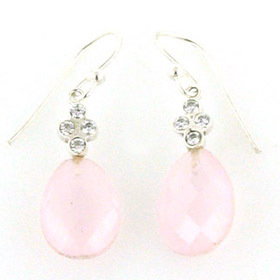 The rose quartz is beautifully set off by the deep red garnet. Plain set in sleek sterling silver and with a plain bale, this is a great pendant and excellent value. 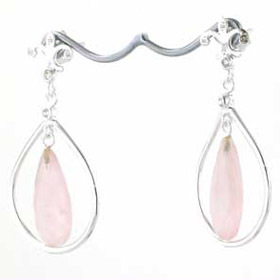 The gemstone in this rose quartz pendant is natural, undyed rose quartz. 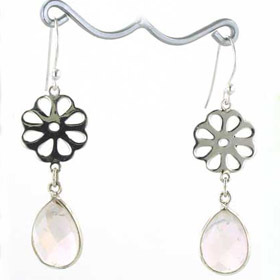 For a choice of silver chains to wear with this beautiful pendant see our collection of Italian sterling silver chains. 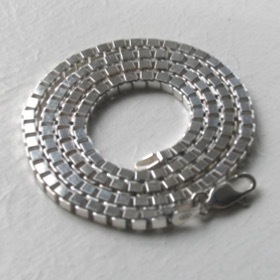 We chose to add sparkle to the ensemble and chose our diamond cut silver box chain, width 3.1mm (see below).